Join the Official Home of Steelers Nation and start earning yards to get amazing rewards from the Pro Shop! Earn your way to Hall of Fame and score these benefits! Be sure to login to the Pro Shop using your Steelers Nation Unite email address to ensure you receive your yards when you spend $75 or more at the Pro Shop. Spend $75-$99 = 20 yards. Spend $100-$149 = 30 yards. Spend $150+ = 40 yards. Are you a Steelers PNC Visa Debit Cardholder? 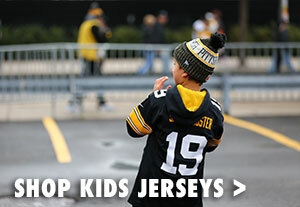 Go to the gear page of the item you would like to share where you will see the different social media channels in which you can choose from to share your favorite swag with Steelers Nation! Be sure to login with your Steelers Nation Unite email address on the Pro Shop to earn these yards. Add some of your favorite gear to your wish list by going to the specific pages of your favorite gear and clicking “Add to Wishlist.” Once you’ve added your items, you can then view your wish list and share it via My Account on the Pro Shop. Be sure to login with your Steelers Nation Unite email address on the Pro Shop to earn these yards. Create AccountThen, when checking out, be sure to select standard shipping and then your shipping costs will automatically be discounted at checkout. 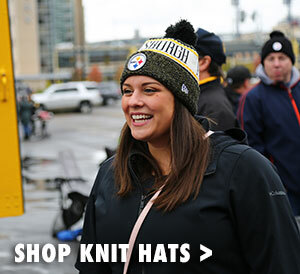 To receive your appropriate level discount on your purchases, be sure to first login to the Pro Shop using your Steelers Nation Unite email address. You will automatically receive your discount at checkout. To receive any offer you have earned, be sure to first login to the Pro Shop using your Steelers Nation Unite email address. 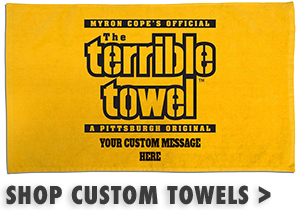 Be sure to add the promotional code for the specific item you are trying to redeem from your My Dashboard page of your Steelers Nation Unite to your cart prior to checking out. Item will automatically be added to your cart and cannot be combined with any other offer. * Refer to our full terms and conditions for these benefits on the My Dashboard page of your Steelers Nation Unite account for any exclusions or additional information. 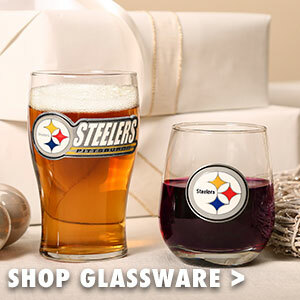 Get your exclusive Steelers Nation Unite gear here!